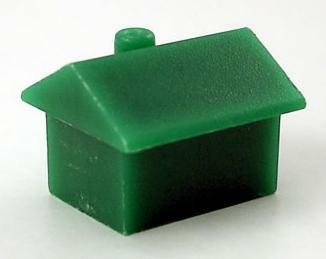 How to Create Passive Income from Rental Properties: Tenants: Your Jewels or Worst Nightmare? Tenants: Your Jewels or Worst Nightmare? 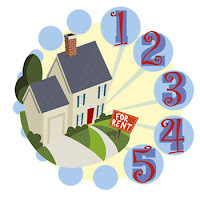 Having and managing tenants is an important part of investing in rental properties. Bottom line is that by having tenants will ensure that your rental yield is achieved, while an empty apartment or flat will mean disaster. Take for example, if you are able to have your unit rented out for a whole year at RM750 per month i.e. 12 months. And, you have paid say, RM100, 000 for the flat. Your rental yield is 9% (ignoring costs, for simplicity sake). But, if you leave it vacant for 2 months in the year, your yield drops to only 7.5%. And, you would have had to pay your monthly installments for two months from your own pocket which can be painful. So the key is to try to have it tenanted all the time, and there are some steps which you can take to ensure that this happens. A friend once told me: with residential properties there is not much you can do to attract tenants: you can only re-paint the flat once. But, the one way to bring in a tenant quickly in a worst case scenario would be to drop the rent, to just slightly below what the market is asking. Getting a bit less is better than nothing at all. This is an interesting question which only you can answer. Doing it yourself (if you have the time and interest) would obviously save you some money (rather than having to pay an agent, of course). The agent normally charges one month’s rent for his/her service of finding you a tenant. But there are also downsides to doing it yourself: you have to face the tenants yourself! I prefer to outsource this part to my property agent. If you plan to do the same, I would recommend that you find a good one as there is nothing worst than having to pay someone, but ending up having to deal with tenants yourself. And believe me, there will be a lot of complains especially when you talk about bread and butter type properties. What are some of the benefits of paying someone to rent out your property? • He/she will do the screening of prospective tenants which can be quite tedious if you have not done this before. It requires a certain kind of skill and experience to sniff out the bad tenants. In all the books on property investing you will find a section on Renting Out or Tenants, and they often talk about how to screen out tenants, the “undesirables” – those that don’t pay their rent on time (or at all) and also always complaining. Or, those that do damage to your property beyond the usual wear and tear. So how do you screen the prospective tenants. • Secondly, there are some basic requirements that prospects need to fulfill before you even consider them as serious candidates. o Preferably have a small family as they are less likely to be moving around so much (vs. a single guy/girl or a set of young working people staying together). These are some of the useful tips to get you started on renting out your ‘bread and butter’ property once you have acquired them. In the next few blogs, I will address the other issues related to renting such as maintenance, managing the rental every month and also eviction (yes, it does happen sometimes when you need to kick people out!). New property rules in Malaysia soon?